Nile Valley Water Conflict: Can Egypt live with Ethiopia's Grand Renaissance Dam? Nile Valley Water Conflict: Can Egypt live with Ethiopia’s Grand Renaissance Dam? The Grand Ethiopian Renaissance Dam, or GERD, under construction on the Blue Nile near the Ethiopian-Sudanese border, is now approximately 50% complete. Initial filling will start this year and will begin in earnest in 2017. The idea of a dam on the Nile in Ethiopia – and the threat this would pose for Egypt – has been on the minds of the people of the Nile basin for centuries. Ethiopia has long claimed a right to use Nile waters, but it was only in 2011 that Meles Zenawi, the Prime Minister of Ethiopia, announced that Ethiopia would begin construction of a large dam on the Blue Nile, near its border with Sudan. The advantages of storing water in the Blue Nile gorge for hydropower generation and flood control have been recognised for decades. But until recently Ethiopia did not have the political or financial strength to pursue this economic development strategy. The GERD will have a height of 145m – compared with 110m for the Aswan High Dam in Egypt and 101m for the Three Gorges Dam in China. It will have nearly three times the installed hydropower generation capacity (6,000MW) of the Aswan High Dam (2,100MW), and will be the largest hydroelectric power facility in Africa. When the GERD is finished, Egypt, Sudan and Ethiopia, as well as the other Nile riparian countries, will face a new situation in the management of a large international river. There will be two very large dams, the GERD and Egypt’s Aswan High Dam, on the same river, but in different countries. Both will be able to store a volume of water greater than the annual flow of the river at the site. And both will be in a river basin subject to severe droughts, and one in which future demands for water for irrigation far exceed the available water supply even in normal years. To date there is no agreement between Ethiopia, Sudan and Egypt on the filling policy for the GERD reservoir. Nor is there agreement on the coordination of the operations of the GERD, the Aswan High Dam and dams in Sudan. Agreements on both issues are needed to achieve the full benefits of the GERD and to prevent significant harm to Egypt during periods of prolonged drought. Most of the economic benefits from the GERD will be from hydropower generation, which is essentially a non-consumptive use of water. After the GERD’s filling period – which could be five to 15 years, depending on the sequence of high and low flows that occur and the amount of water Ethiopia releases – it should be possible for Ethiopia to operate the GERD in such a way that Egypt suffers relatively little harm. Sudan will benefit because the GERD will smooth variations in the Nile flow. This will result in increased water availability during the low-flow summer months, more hydropower generation from Sudanese dams at Sennar, Roseires and Merowe, and reduced flood damages. But during a multi-year drought and during the filling of the GERD, Egypt and Sudan need confidence that water will be released from the GERD to meet their basic requirements and prevent significant harm. On March 23 2015, the leaders of Ethiopia, Egypt and Sudan signed a Declaration of Principles in Khartoum. It moved their countries closer to cooperation on the sharing of Nile waters. Consensus was reached on ten general principles. This declaration was essentially a commitment to find common ground on what had become an increasingly acrimonious dispute over Ethiopia’s decision in 2011 to build the GERD. But the hard negotiations over the specifics of filling the GERD’s reservoir and coordinating the operations of the dam and the Aswan High Dam are only beginning. Coordinating releases from the GERD and the Aswan High Dam requires careful advanced planning in order to ensure that Egypt and Sudan receive the water they need for irrigation, municipal and other uses. It needs proper infrastructure for monitoring flows, quality assurance protocols for data, and close and trusted communications between reservoir managers. Negotiating and drafting an agreement will be difficult and take time. There is little shared understanding among water professionals, political leaders and civil society in the Nile basin about how joint operating strategies, increased upstream water withdrawals, and hydrological events affect Egypt, Ethiopia and Sudan. The GERD can be operated to cause relatively little harm to Egypt and Sudan during normal hydrological conditions. But this is not a reason for complacency. During filling and times of drought, the level of the Aswan High Dam reservoir will fall. It may reach levels at which Egypt will have to reduce its releases downstream. Certainly hydropower generation from the Aswan High Dam will be reduced. During negotiations, Egypt is expected to argue that Ethiopia should release more water from the GERD as the level of Aswan High Dam reservoir falls. In contrast, Ethiopia would likely argue that Egypt should reduce its downstream releases, perhaps even before a water shortage becomes severe. Ethiopia’s objective here is not to be difficult, but simply to maximise its hydropower generation. The sale of the GERD’s hydropower is a key component of these negotiations. Ethiopia cannot use all the electricity generated from the GERD in the short to medium term because its domestic market for electricity is too small and it has other hydropower projects under construction. Total demand for electricity in Ethiopia at present is some 2,000MW while there is installed capacity exceeding 4,000MW following the recent completion of the 1,870MW Gibe 3 project. Ethiopia must sell to its neighbours, most likely Sudan and Kenya. Kenya is a relatively small market for electricity sales, with a total national demand of only 1,512MW in 2015, much of which is supplied by domestic hydropower projects. Ethiopia has reached an agreement with Kenya to sell some 400MW to the country. The funding comes from the World Bank, the French Development Agency and the African Development Bank. The GERD itself must be connected to the Sudan power grid by a new high capacity interconnector before it would be possible to sell power from the GERD on to Sudan. The financial success of the GERD for Ethiopia very much depends on its ability to sell this hydropower as soon as possible and at a reasonable price. But there has been no public announcement of a power trade agreement negotiated between Ethiopia and Sudan. Nor are there sufficiently large transmission lines being built from the GERD to the Sudanese or Kenyan power grids for the power. The existing transmission line linking Ethiopia and Sudan was completed three to four years ago. 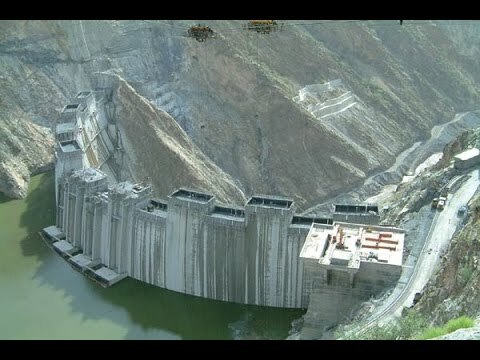 It has a capacity to transfer 100MW and is not much use for exporting hydropower from the GERD. If there are no high capacity transmission lines from the GERD to Sudan, there is a very strong financial argument for Ethiopia to hold back as much water as possible in the GERD’s reservoir until it can sell the hydropower. And that is when problems between the countries may arise. It is in Egypt and Sudan’s interests, as well as Ethiopia’s, that the construction of these transmission lines from the GERD to Sudan commence as soon as possible. Perceptions of fairness and trust matter in such negotiations, and they need to be carefully cultivated before crises arrive. Policymakers in Egypt, Sudan and Ethiopia have not yet adequately explained to civil society in their countries the inter-related factors that will affect water availability throughout the basin. They must explain the effects of large infrastructure development, irrigation developments and climate change so that people will know the risks and rewards of cooperating with their neighbours. Egypt’s biggest concern should be increased irrigation withdrawals in Sudan, which the GERD will facilitate by making more water available during the low-flow summer months. Increased irrigation withdrawals in Sudan will mean less water flows into the Aswan High Dam reservoir. Because there is little understanding in civil society of how the Nile river system behaves, the reasons for water shortages and falling reservoir levels may be misunderstood. Passions could be become inflamed and difficult to control. In such an environment, mistakes can happen. The international community can help in three ways. The first is the mobilisation of global expertise and experience on the coordinated operation of multiple reservoirs on large river systems. The second is to provide an adjudication mechanism for helping to resolve disputes among the Nile riparians. The Nile riparians and the international community urgently need serious technical discussions to commence. The third is to provide financing for high capacity transmission lines from the GERD to Sudan.